Cooler with Peltier elements and gilded copper heat spread plate. 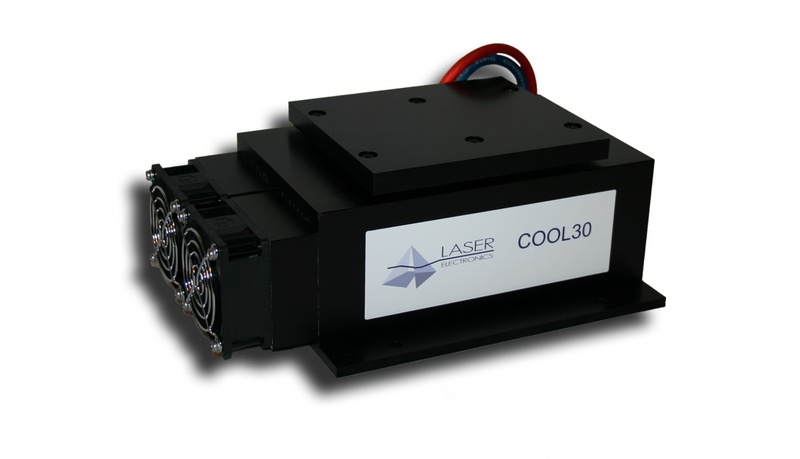 Suitable for laser diodes with small heat areas. Cooler with Peltier elements and aluminium heat spread plate. Suitable for laser diodes with medium-sized heat areas. Cooler with Peltier elements and without heat spread plate. 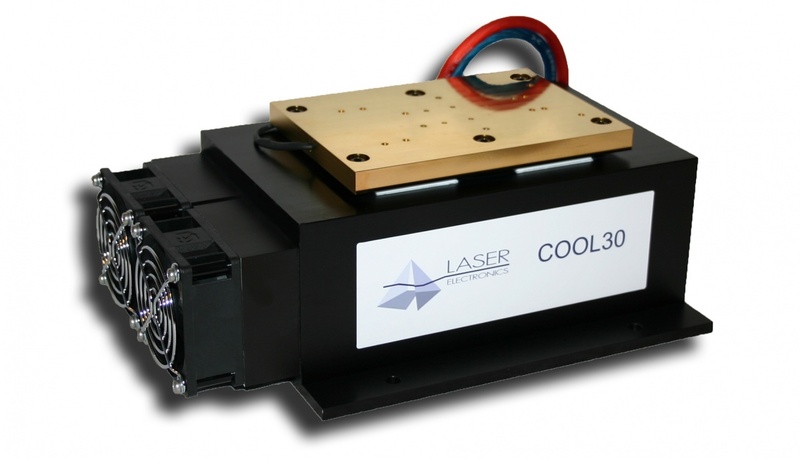 Suitable for laser diodes with large heat areas. Cooler without Peltier elements and without heat spread plate. Suitable for laser diodes with integrated Peltier elements. 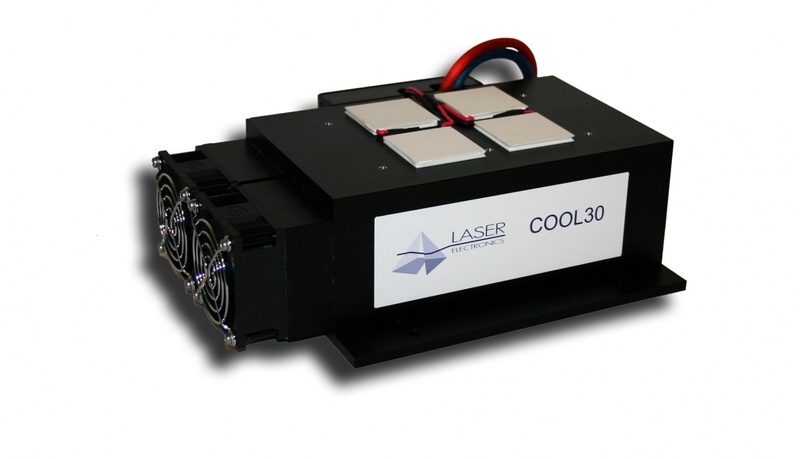 The heat sink COOL30 was designed for temperature stabilization of high power laser diodes and laser arrays of about 30W optical power. 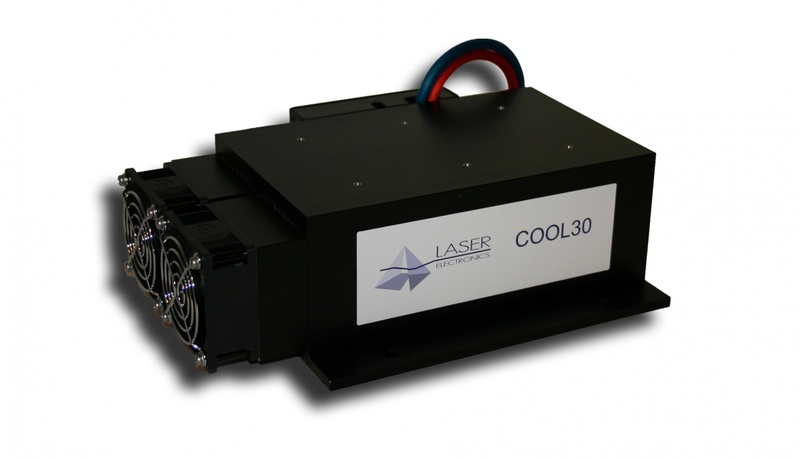 Depending from the temperature difference between laser diode and ambient air the max. heat load is up to 80W. A heat sink includes the metal block, fans for the heat dissipation, the peltier elements (TEC´s), a heat spread plate with a temperature sensor, the laser diode cable and the cooler cable. For using laser diodes with integrated peltier elements and temperature sensor the heat sink is available without peltier elements, temperature sensor and heat spread plate for a reduced price.